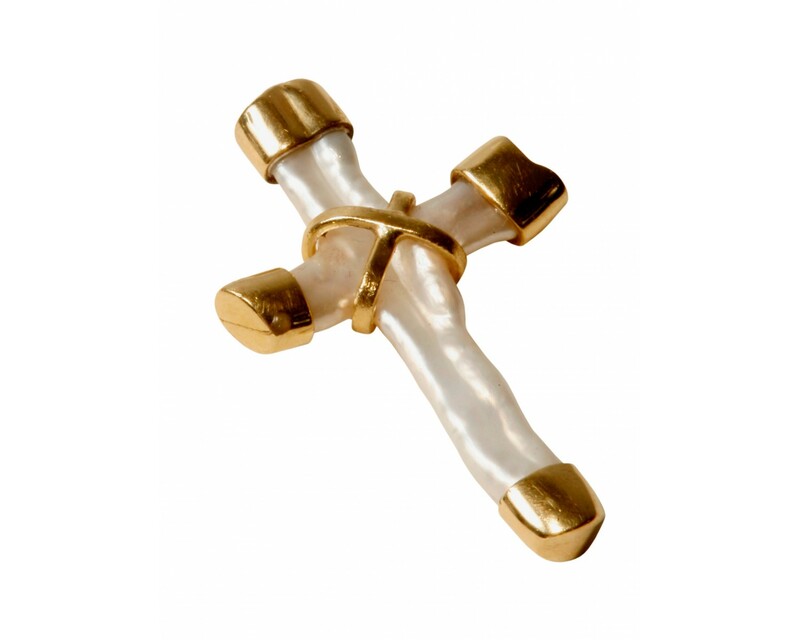 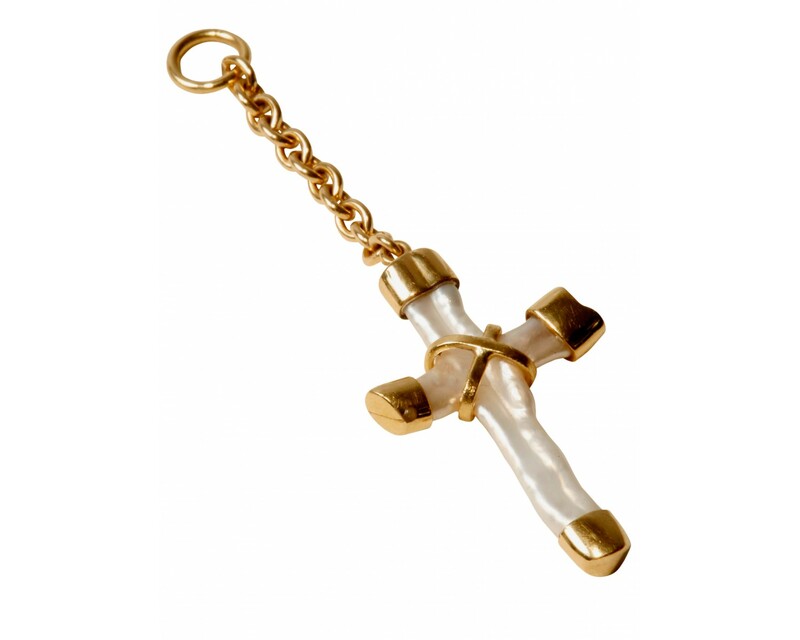 Baroque pearl cross set in 18ct yellow gold with an 18ct yellow gold drop chain. 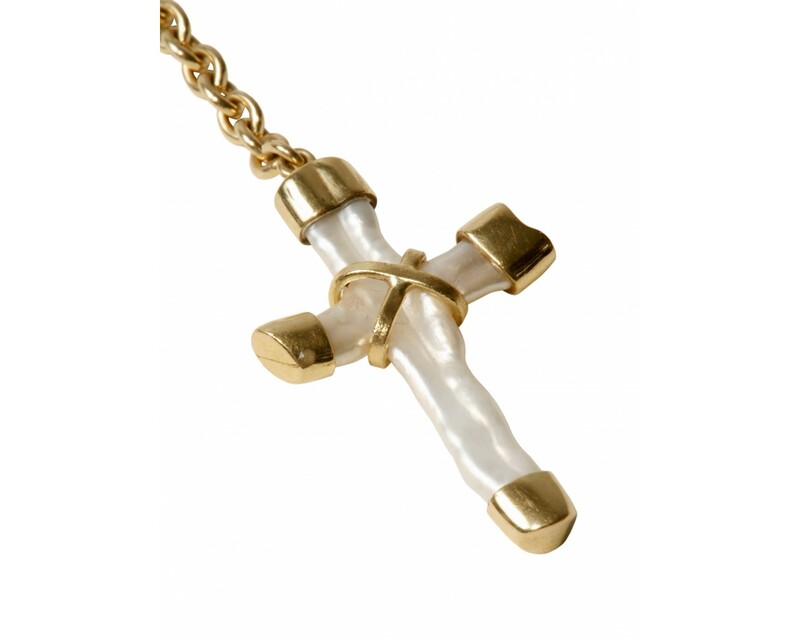 This gorgeous natural baroque pearl cross has been lovingly set in 18ct yellow gold and hangs from a drop chain, also made of 18ct yellow gold. 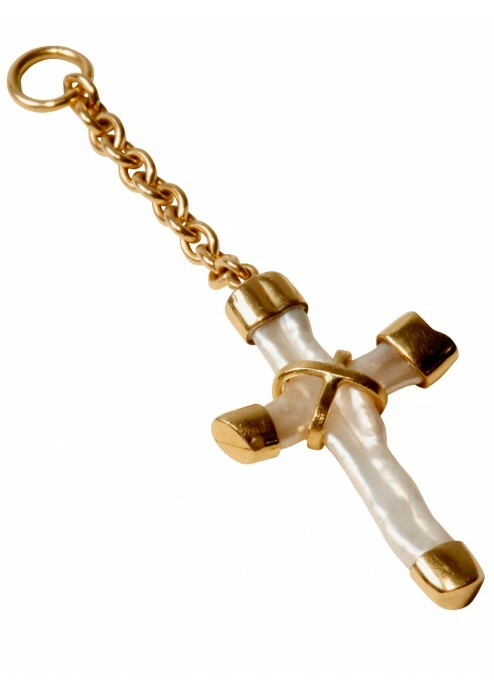 It is one of our most popular designs and looks stunning hanging from a chain of your choice or one of our delicate earring hoops.